Since 1996 has been the professional point of reference for those working on the territory, and has needed to continuously expand its field of action as a result of new methods of investigation and reliable and complete monitoring solutions. For this reason, we now offer a full range of instruments and software for Geophysics, Geology, Environmental and Geotechnical Monitoring, Non-Destructive Testing and Structural Controls. Our experience and expertise are the result of the on-going development of the company, which has origins far back in time and space: the first Geophysical instruments originated in India in the 1940s, in the great laboratory at the Geophysical Survey in Calcutta, where Applied Geophysics took its first steps thanks to the talent of an Italian, a true pioneer of modern electronics. And it was India that also saw the start of this vocation, which - cultivated year after year - now enables us to meet the needs of the global market, exporting all over the world - with pride and determination - “Made in Italy” products that set us apart. We have always believed that Italian Creativity and Design can converge into a product with a pleasant image: this principle is reflected in the “look” of our instruments, much appreciated also abroad. Optional connectivity Ethernet, Wi-Fi, Bluetooth, RS232, RS485, USB Client, GPS, etc. 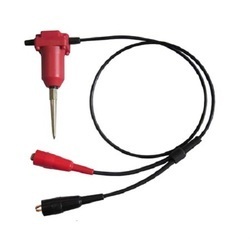 We are the leading manufacturer and supplier of Electrical Imaging System In Alternate Current. 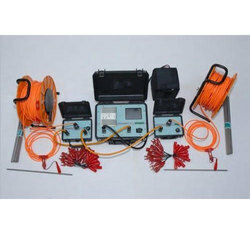 We are recommended amongst the clients for offering a quality assured assortment of Earth Resistivity Meter. 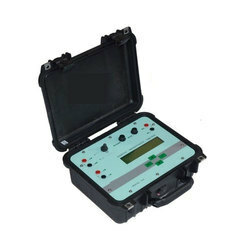 The Earth Resistivity Meter we offer is widely demanded amongst the clients for its safe use. Subsoil groundwater prospecting at shallow, medium and great depth. 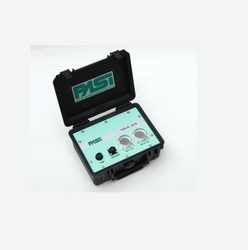 Well- Camera Taking advantage of a great experience in designing and manufacturing TV systems for borehole and well applications, PASI created the innovative Well- Camera, this compact and lightweight tool is the answer to everybody who are looking for an easy to use, reliable an affordable tool for quick in-field video inspections. 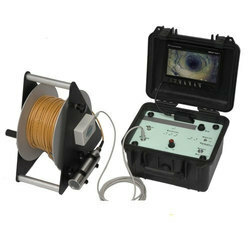 Borehole Camera Supplied complete of software and USB cable for display and recording of pictures, movies and vocal comments to any external laptop. Movies and vocal comments to any external laptop. We are the leading manufacturers and suppliers of Land Vertical and Horizontal Geophones made from supreme quality material. 24-Channel Seismograph - 24 Bit is a compact-sized 24-channel seismograph (2 units can be serialized for a total of 48 chs) with a 24 bit acquisition board and USB interface for external PC (not included). Suitable for so many applications, GEA-24 is a really affordable solution for all professional uses. PASI created the innovative well-camera; this compact and lightweight tool is the answer to everybody who are looking for an easy to use, reliable an affordable tool for quick in-field video inspections. Well-Camera.2 is supplied complete of software and USB cable for display and recording of pictures, movies and vocal comments to any external laptop. In addition to this, the electronic encoder allows the recording of the depth values directly on the file for a detailed and accurate report. 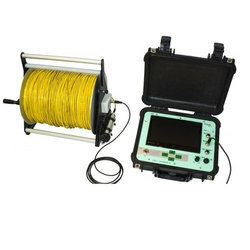 Looking for Geophysical Testing Instruments ?